News: Family EGG-stravaganza Event Returns to Ferndale! Family EGG-stravaganza Event Returns to Ferndale! Hippity-hop, hippity-hop... the Easter Bunny is coming to town! 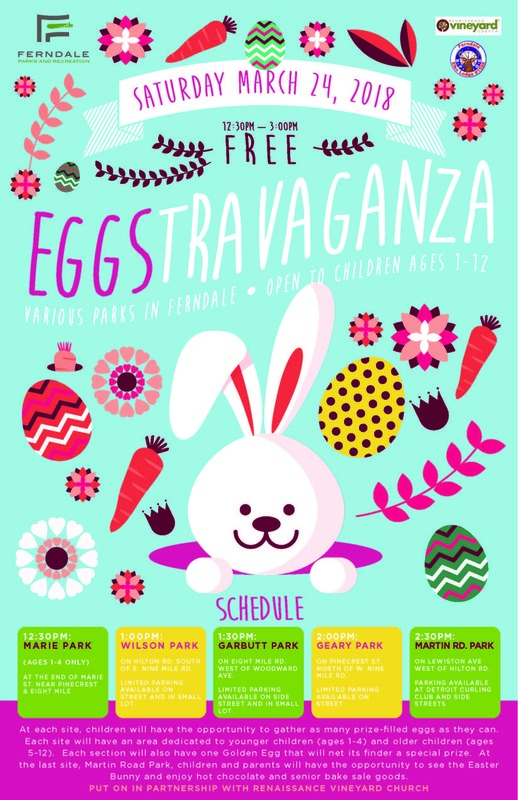 Ferndale Parks and Recreation, in partnership with Renaissance Vineyard Church, will hold their annual EGGstravaganza event on Saturday, March 24, between 12:30 and 3:00 p.m. The celebration includes opportunities for families with children under age 12 to hunt eggs filled with goodies. 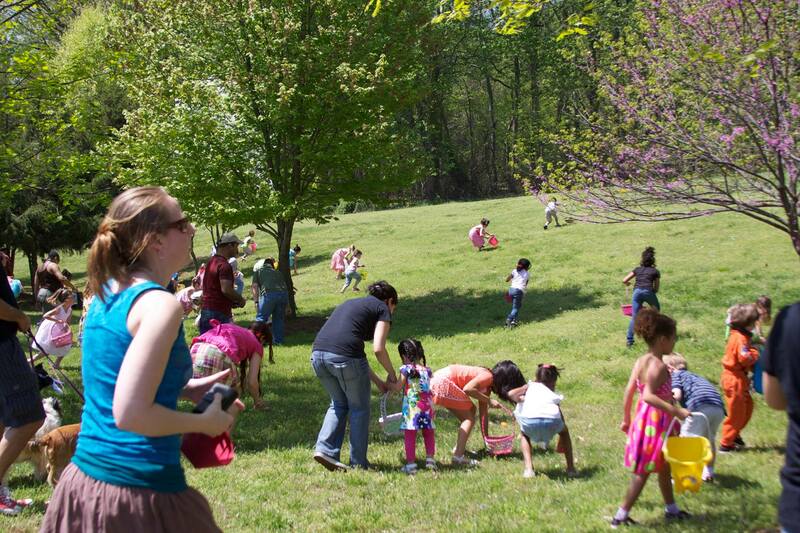 Each egg hunt is held in two age groups: 1-4 and 5-12. Each section also has a golden egg, and the child who finds it will win an Easter basket courtesy of one of our city departments and organizations. Attendees at our final location, Martin Road Park, will enjoy additional benefits, including free hot cocoa, a Ferndale Senior Group bake sale, and a meet-and-greet with the Easter Bunny. The event is held in five locations throughout Ferndale; attend one or attend them all! 12:30 p.m.—Marie Tot Park, Ages 1-4 only. Located at the end of Marie St. near Pinecrest and 8 Mile. 1:00 p.m.—Wilson Park. Located on Hilton Rd. south of E. Nine Mile. 1:30 p.m.—Garbutt Park. Located on 8 Mile Rd. west of Woodward. 2:00 p.m.—Geary Park. Located on Pinecrest Dr. north of Nine Mile. 2:30 p.m.—Martin Road Park. Located on Lewiston Ave. east of Hilton. The festivities are provided at no cost, and the event is open to all. Children must be accompanied by an adult. See the flyer for more information, or contact Ferndale Parks & Recreation at 248-544-6767.